Victor Felice and his bright purple Nacra 5.8 have pumped AYC on the KTVK (channel 3) Your Life morning program, explaining how (yes, you’ve heard it before) there really is sailing in Arizona. 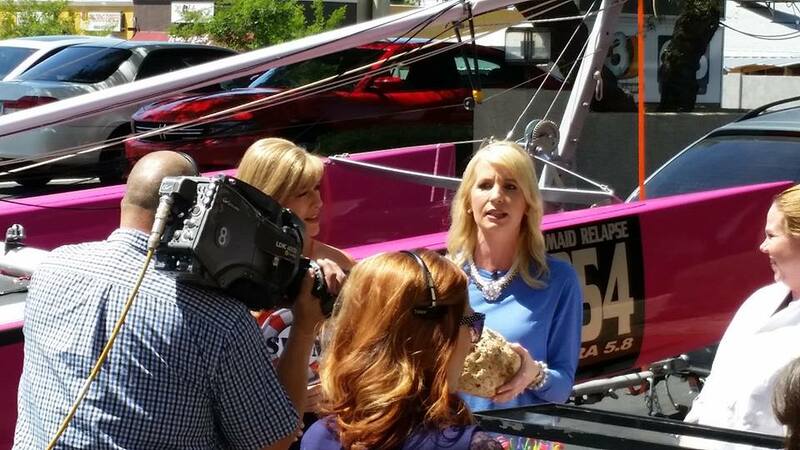 The 3:40 segment aired on Thursday, April 21 shot in the KTVK parking lot with program hosts Suzanne Bissette and Gina Salazar. You can watch the segment on Victor’s website here. Somewhere in that cluster of TV stuff you can spot Victor’s purple catamaran as KTVK prepares to tape his segment.